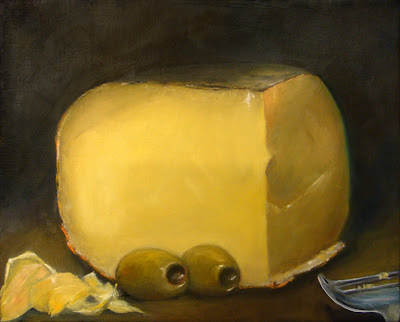 oil on canvas / 12 x 16"
This painting of gouda cheese reminds me of when my husband and I went to the town of Gouda in Holland many years ago. 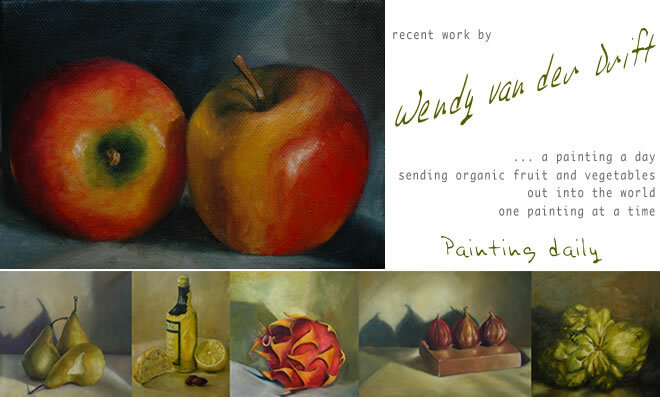 Your painting has a lovely buttery smooth quality to the cheese, just like the real thing! Your work in very realistic. I think I could have a slice. Your work is just FASTASTIC! What a wealth of talent we have on the sunny coast. I look forward to viewing more of your beautiful work from now on.